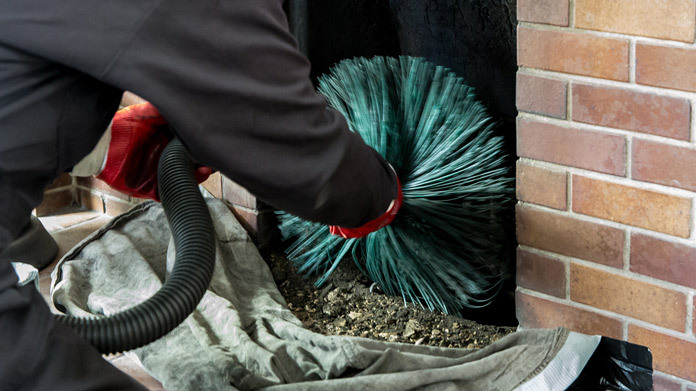 Our guide on starting a commercial cleaning business covers all the essential information to help you decide if this business is a good match for you. Learn about the day-to-day activities of a commercial cleaning business owner, the typical target market, growth potential, startup costs, legal considerations, and more! What happens during a typical day at a commercial cleaning business? Preferred client types are large commercial clients. Most cleaning businesses work with big chain restaurants. Undesirable clients are companies that have no need for ongoing cleaning services. How does a commercial cleaning business make money? These businesses make money by charging clients a fee for cleaning services. What is the growth potential for a commercial cleaning business? Growth potential for this business is significant. Small cleaning operations can be run by a staff of one person, but at least 2 to 3 is preferable. Larger operations can employ 10 to 50 employees, or even hundreds of cleaners. HOODZ and Janiking are examples of large cleaning companies that operate as a franchise. What are some skills and experiences that will help you build a successful commercial cleaning business? Being a successful cleaning business means that you have staff that are well-versed in various cleaning methodologies, have good attention to detail, and are knowledgeable about how to mix and use cleaning products and equipment. This is a very labor-intensive job and, while not heavily skill-dependent, it does require stamina. What are the costs involved in opening a commercial cleaning business? Costs to start a cleaning business are minimal. It can be started on a shoestring budget for less than $500. A larger company may budget up to $100,000 and start with professional cleaning equipment like floor waxing machines, floor washers, commercial mops and cleaning buckets, and cleaning and service vans. What are the steps to start a commercial cleaning business? Form a legal entity. Establishing a legal business entity prevents you from being personally liable if your commercial cleaning business is sued. Open a business bank account. A dedicated checking account for your commercial cleaning business keeps your finances organized and makes your business appear more professional to your customers. What are some insider tips for jump starting a commercial cleaning business? Focus on small business owners instead of large chain restaurants because large corporations may already have long term partnerships with professional (and established) cleaning services. Smaller companies may also have a greater need for services but can't afford to hire a full-time employee. These may be smaller jobs but will form your "core clients." Commercial cleaning businesses are usually started organically. Simple ways to start a cleaning business are to go door-to-door and find prospects who need your services. Contact local business owners you know and ask if you can clean their kitchens at a discounted rate. Get referrals from those business owners and expand. 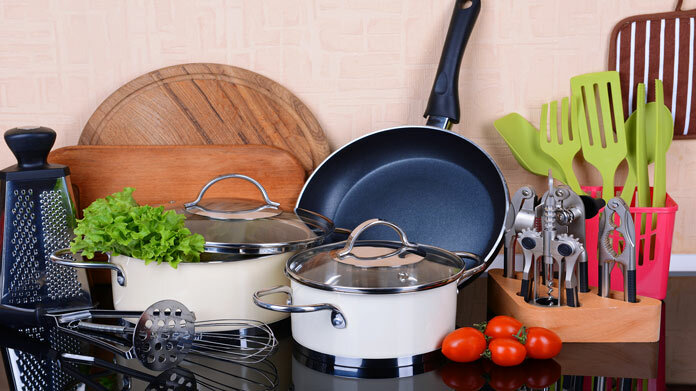 You can also hire a mailing list broker and mail all the restaurants, hospitals, and other businesses with kitchens in your local area. Follow up with a phone call and offer for services. If you have a business's email, try using email marketing. Differentiate yourself through specialization. Some companies specialize in schools, for example, and may offer value-added services unique to that type of organization, such as decoration services and removal before and after holidays or during special events. Another way to attract customers is to offer discounts on cleaning services or special packages for first-time customers. Run promotions and contests so customers have the opportunity to win free or discounted cleaning services. Offer a referral or loyalty program to your existing customers. Permanently discount rates for long-time customers in exchange for referral business. Finally, consider offering discounts for services that exceed a specific dollar amount or for long-term cleaning contracts. Building a team is necessary usually from the start. Unless you are working with very small businesses, it’s easy to get overwhelmed. Start by hiring a small cleaning crew and expand as revenue and profit allows. A small business can be started with just one or two cleaners. You can expand the business to accommodate anywhere between 10 and 100 employees. This would be considered a mid-sized company. Large commercial cleaners employ thousands of people or franchise the business. 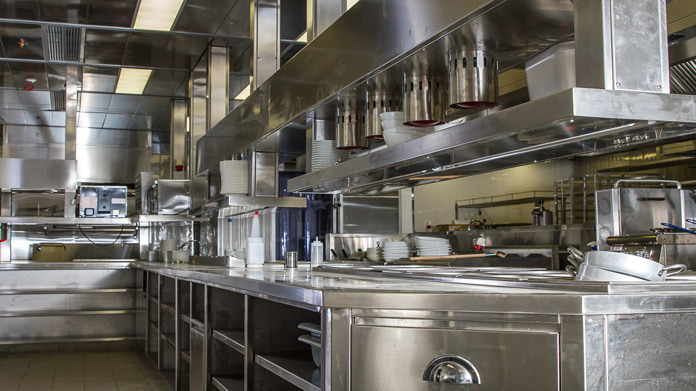 Certain state permits and licenses may be needed to operate a commercial kitchen cleaning business. Learn more about licensing requirements in your state by visiting SBA’s reference to state licenses and permits. 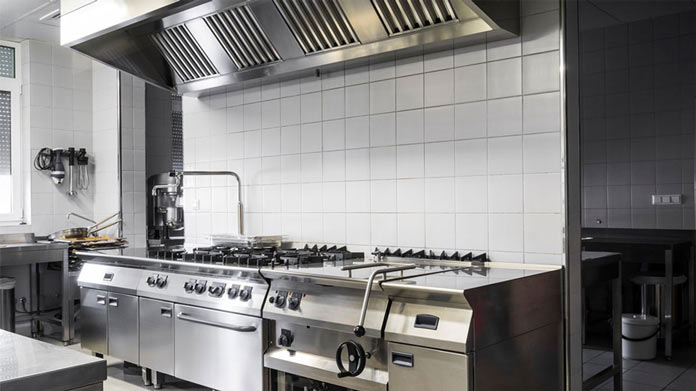 Commercial kitchen cleaning businesses should consider requiring clients to sign a service agreement before starting a new project. This agreement should clarify client expectations and minimize risk of legal disputes by setting out payment terms and conditions, service level expectations, and intellectual property ownership. Here is an example service agreement. Recommended: Rocket Lawyer makes it easy to create a professional service agreement for your commercial kitchen cleaning business when you sign up for their premium membership. For $39.95 per month, members receive access to hundreds of legal agreements and on call attorneys to get complimentary legal advice. Businesses can charge clients an hourly rate between $50 to $150 per hour, with a small crew of 2 cleaners typically charging $50 per hour. 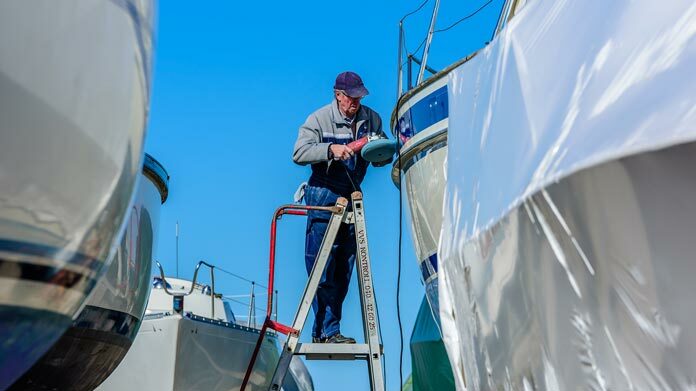 Smaller crews tend to take longer to complete jobs, however, so the total cost may be higher for the client. Cleaners can also charge a flat-rate for services. This makes sense when you know you can complete a job on time or under an equivalent hourly billing time. For example, let's say you know a job normally takes 10 hours to complete. If you charge the customer $50 per hour, you will end up with $500 in billable cleaning hours. However, you may decide to charge a flat fee for services of $600 to $750. 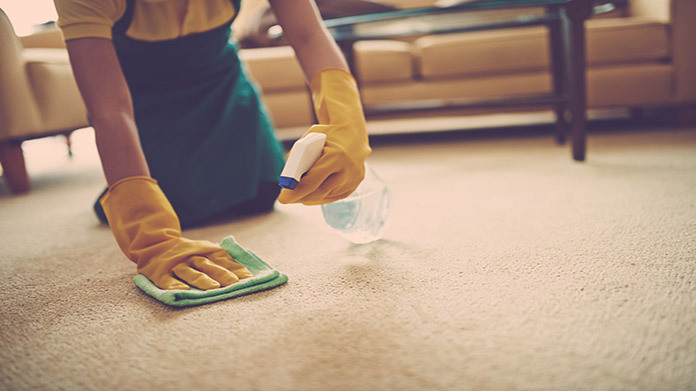 The higher fee guarantees that you'll finish on time and protects the customer from unexpected expenses due to longer-than-expected cleaning requirements. The risk to the business is that a job may actually take longer than expected to complete, resulting in a partial or total loss of profit on the job. What are the ongoing expenses for a commercial cleaning business? 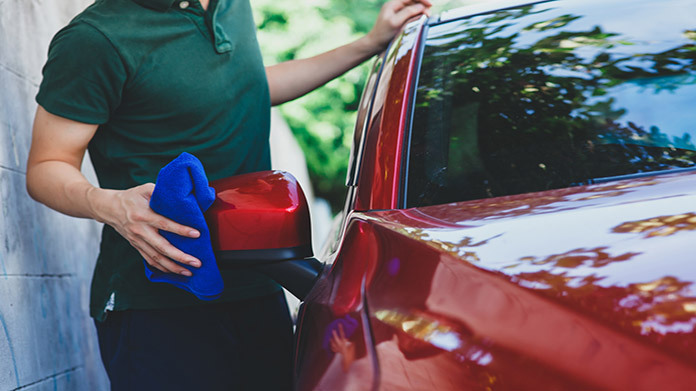 Ongoing expenses for a cleaning company include cleaning supplies, utilities, insurance, and maintenance for transport vehicles. These costs may range from a few hundred dollars for smaller operations to many thousands of dollars (or millions of dollars) for larger companies. How much profit can a commercial cleaning business make? Profit margins for a cleaning company can be thin. Some companies only profit 1% to 5%. However, if you’re a smaller company working with a small cleaning crew, it’s entirely possible to price your services at a 20% to 40% profit. Local markets will dictate your pricing unless you offer value-added services that can’t easily be compared to the competition. Making your business more profitable usually means specializing in one type of industry or offering value-added services. For example, you might specialize in cleaning hospital kitchens, which may require certain specialized knowledge of hospital cleaning procedures and processes (including sanitation requirements). You might also choose to offer value-added services, like complimentary cleaning of blinds and doing laundry service for clients. You could also increase the value of your services by offering cleaning services for special equipment, like ice cream machines. How much does a commercial cleaning service cost?